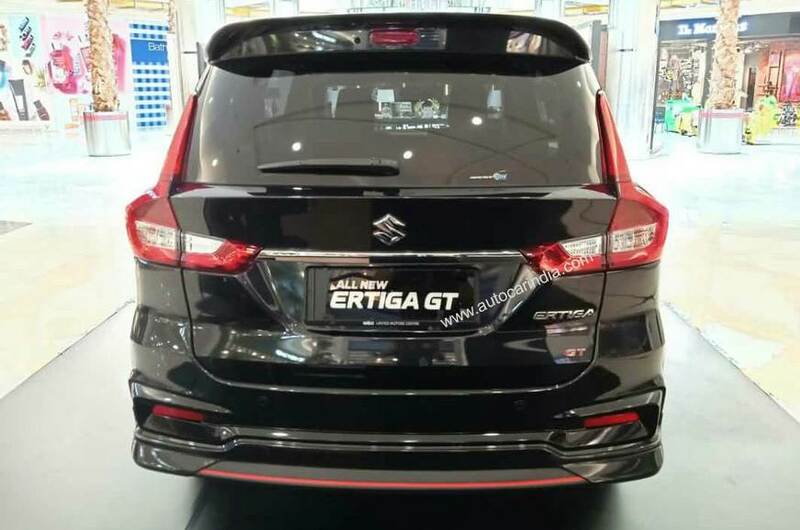 Suzuki Ertiga GT looks stunning with a body kit and black alloys! The Suzuki Ertiga GT comes with an aggressive body kit, black alloy wheels, red-decals, a new mesh grille and a 1.5-litre petrol engine under its hood. Maruti Suzuki introduced the second generation iteration of the Ertiga MPV in India last year. Based on an all-new platform, the generation update for this sub 10 lakh MPV came with a completely new identity. With sharper exteriors and a feature loaded cabin, it is currently selling close to 8,000 units a month. The demand is such that the top-spec variants are currently commanding a waiting period of close to 6 months. For Suzuki, the parent company of Maruti Suzuki India Limited, th e Ertiga is not an India specific model. The Japanese automaker sells this MPV in the Indonesian markets as well. And to woo customers in the Indonesian market and to tease the ones in the Indian market, Suzuki is soon going to introduce a special edition of the Ertiga on March 23. 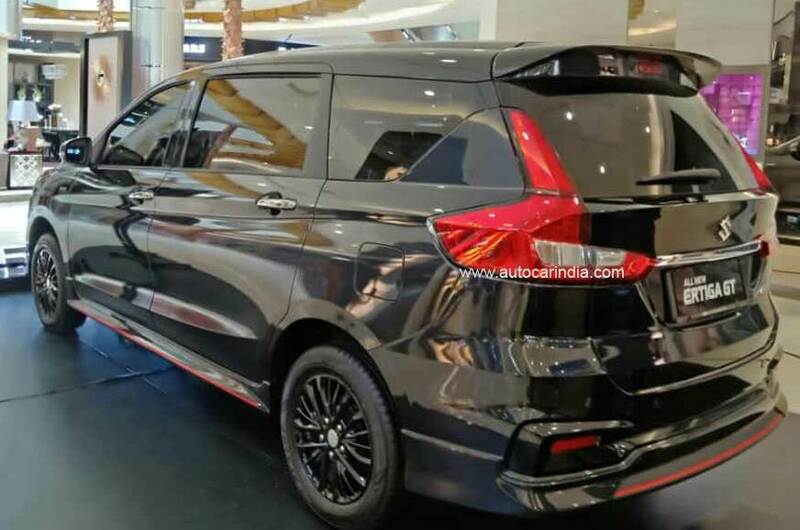 Named as the Ertiga GT, this sports iteration (aesthetically) of this budget MPV will so far remain exclusive to the Indonesian market. The Suzuki Ertiga GT remains identical to the standard Ertiga in terms of its basic exterior layout. However, it does offer a low-slung body-kit, new blacked out alloy wheels, blacked out headlamps, a new mesh grille and a rear spoiler. In comparison to the standard model, the Ertiga GT comes with LED projector headlamps, LED daytime running lights, auto-dimming inside rear-view mirrors to name a few. The interiors of the Suzuki Ertiga GT remains the same as before. The carmaker is likely to introduce blacked out seat covers with contrast sticking and maybe, an all-black colour scheme. 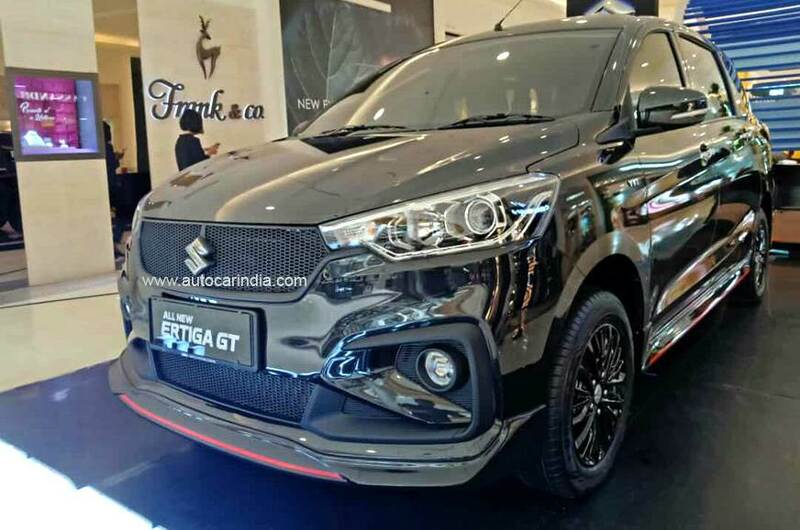 Talking about the engine specifications, the Suzuki Ertiga GT, in the Indonesian market, is going to launch with a 1.5-litre, 4-cylinder petrol engine. This is the same unit which currently does its duty on the India spec model. This engine is capable of churning out 102 BHP along with 138 Nm of peak torque. Back at home, Maruti Suzuki is working towards introducing an all-new, 1.5-litre diesel engine in its select models. These will include a the Ertiga, Ciaz, S-Cross and the Vitara Brezza. Also, we are soon to see the arrival of a 6-seater version of the Ertiga, with Captain seats in the Indian market. Is the Suzuki Ertiga GT the six-seater Ertiga for the Indian market? What do you think? Do let us know! And stay tuned to Car Blog India for all the recent updates.